Tensions with Afghanistan, faltering relations with the US, and chronically poor ties with India. 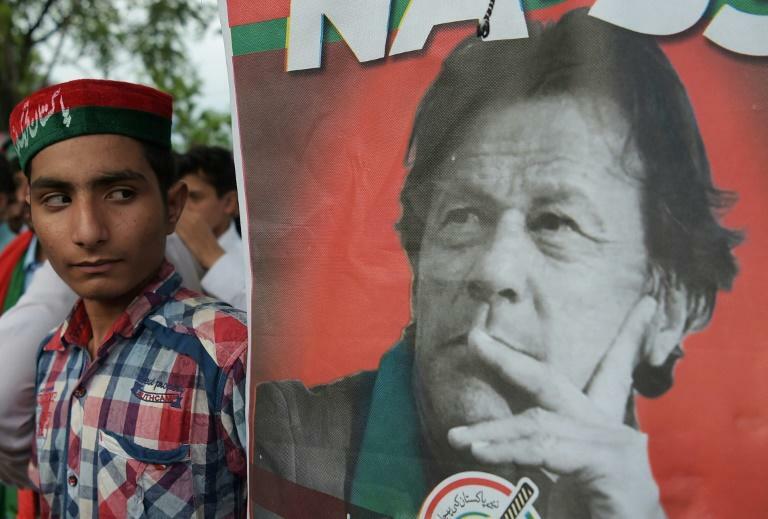 Pakistan today stands isolated, observers say, and bringing it back into the fold is a formidable task for its new premier Imran Khan. "We have a very big foreign policy challenge right now. If there is one country that needs peace and stability right now, it's Pakistan," the former cricket champion said in his victory speech after last month's election. Achieving that is not likely to be easy for the first-time PM and foreign affairs novice who Saturday took the reins of a country that has been widely accused of stoking regional insecurity by backing extremists -- claims Islamabad has repeatedly denied. Ties with the US cooled further in January when President Donald Trump accused Pakistan of "lies" and "duplicity" in the war on terror, suspending military assistance worth hundreds of millions of dollars. Khan has repeatedly blamed Pakistan's participation in the US-led anti-terror campaign for the surge in terrorism on home soil over the last decade. Now as premier, in a tone noticeably softer than his earlier anti-US comments, Khan has said he wants a "balanced relationship" instead of "fighting America's war" in exchange for aid. Khan has long advocated a negotiated settlement with Islamist insurgents, a commitment that led to criticism that he is soft on militants and earned him the nickname "Taliban Khan". If not in Washington, he may find a sympathetic ear in Kabul. Afghan President Ashraf Ghani has also been pushing for talks with the Taliban, and offered a new, conditional ceasefire on Sunday. "Imran Khan is very well positioned in building trust again with Afghanistan," observed Huma Yusuf, an analyst at the Wilson Center in Washington. "He is seen as a fresh face with a credible voice." But given the current freeze with Washington, said Yusuf, Pakistan's "drift from the US camp to the China camp will continue". Beijing has long been Islamabad's "all-weather friend", and the strategic relationship was stepped up with the 2013 launch of the China-Pakistan Economic Corridor (CPEC), a multi-billion-dollar infrastructure project that is part of Beijing's Belt and Road initiative. The alliance is widely considered Pakistan's most important, and Khan has vowed to strengthen it further. But CPEC deals are opaque, and amid fears about Pakistan's ability to repay Chinese loans, his party has vowed more transparency. That may be difficult in a country where any criticism that may hurt ties with Beijing is considered taboo. "The new government will try to avoid any embarrassment linked with CPEC," said Andrew Small, an expert on China-Pakistan relations. The stakes are high as Khan's nascent government must act quickly to avert a looming balance of payments crisis, and most analysts agree that Pakistan will need a loan from abroad. The International Monetary Fund (IMF), which has bailed Pakistan out repeatedly in recent decades, is one option. But Washington, its main contributor, has voiced concerns about Fund money being used to repay Pakistan's debt to China, and could dictate strict terms. Some in Pakistan have suggested Beijing itself could come to the rescue but Small warned there may be a limit to China's largesse. It is arch-rival India which remains Pakistan's biggest foreign policy challenge, however. The nuclear-armed rivals have fought three wars since the end of British rule in 1947, including two over Kashmir, the vast Himalayan territory that is claimed by both. But reaching out to New Delhi is a path fraught with risk for civilian leaders in Pakistan, where foreign and defence policies are dominated by the powerful military. Many analysts believe former premier Nawaz Sharif's strong advocacy for better India ties earned him the wrath of the military. It also prompted vociferous criticism from Khan, who accused Sharif of trying to please India at the expense of Pakistan's interests. Khan's charged anti-India statements prompted many in both countries to predict that ties could suffer under his leadership. "I was a little saddened by the way the Indian media portrayed me, as if I'm a villain in a Bollywood film," the new PM acknowledged in his victory speech. But in an apparent about-turn after his poll victory, Khan has advocated peace as the only way forward. "Pakistan and India must dialogue and resolve their conflicts incl Kashmir... and start trading", he tweeted on Tuesday. In the end, observers say, the extent to which Khan can influence Pakistan's foreign policy will depend on what the military deems acceptable. His new foreign minister, the high-profile Shah Mehmood Qureshi, brushed off that idea, saying that foreign policy would be made "in the foreign office". But analyst Pervez Hoodbhoy said that in terms of international affairs, "I don't expect anything significant" from Khan. "This is not for him to decide."